Extreame Savings Item! 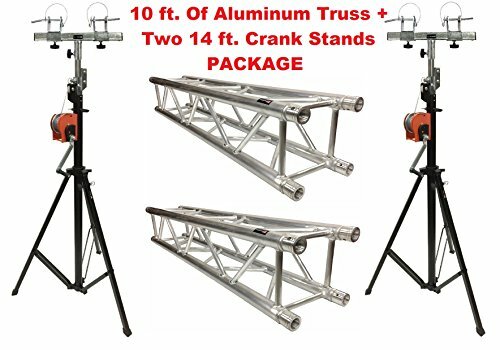 Save 48% on the Aluminum Truss Portable 10' Lighting Truss Package + Two 14 ft. Crank Up Stands by Cedarslink at IGWT. Hurry! Limited time offer. Offer valid only while supplies last. 220 LB. max capacity each stand. Each stand weighs 55 LB.